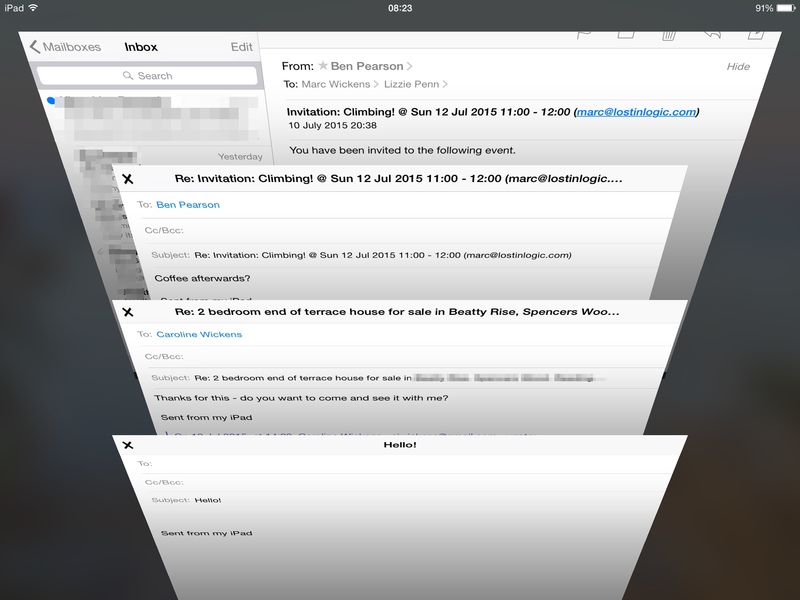 One thing I expected to be in iOS 9 that isn't is a way for a single application to present multiple windows. Mail does this, but I'd like to have seen it made into an API that developers can easily use, and that would allow multiple documents from the same application to be shown side by side. It's still a major productivity drain to have to close your Pages/Word/Pixelmator document if all you want to do is reference another document.